At the time, the newly knighted Sir Clough had just celebrated his 90th birthday and, clad in his trademark knee-breeches, foppish waistcoat and yellow stockings, certainly cut an implausible figure in a Britain dominated by strikes, power-cuts and an incipient three-day week. The oldest practising architect in the country, the prophet of environmentalism (before such a word even existed) and the veteran of a hundred political campaigns, he had spent his adult lifetime seeking to bring ‘a taste of lavishness, gaiety and cultivated design’ to a public that was often more prepared to listen than were the critics. He was undeniably eccentric – a throwback to the Edwardian era of the gentleman amateur, to the manners and courtesy of the time, and to the optimism and progressive thinking of HG Wells and Bernard Shaw – but that was far from the whole story. 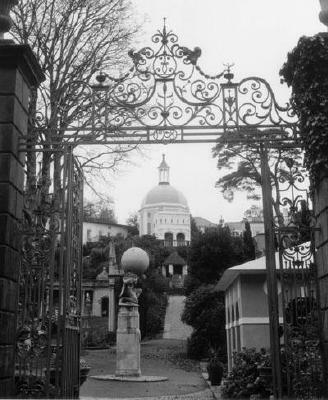 Because despite the eccentricities of both the man and his architecture, Portmeirion was never intended to be, and never was, simply a folly. This fabulous fairytale world, this romantic Ruritarian retreat on which he worked for half a century, may have provided a refuge for writers as diverse as Noel Coward and Bertrand Russell and for royalty from Edward VIII to King Zog of Albania, may have inspired musicians like Fairport Convention and Jools Holland, may most famously have been used as the setting for the TV series The Prisoner, but ultimately it was a practical and pragmatic, even a didactic, enterprise, albeit one that came in disguise as the trivial pursuit of pleasure. Clough’s lightness of touch has sometimes concealed the seriousness of his purpose. 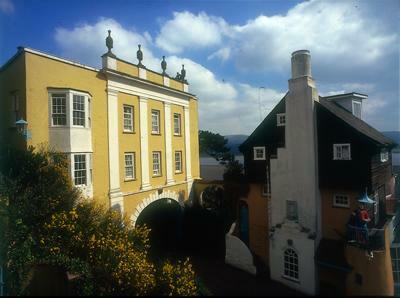 Portmeirion was built to demonstrate that development need not be at the expense of the environment, to inspire a love of design and – not least – to be a self-sufficient business venture. On all three counts, it has proved a triumphant success. ‘If there is a regret,’ commented the architectural press in the early years, ‘it is in the thought that so beautiful a place could not survive. Such pleasures do not seem made to be permanent.’ But they were made to be permanent, and it does survive. As he approached the end of his life, Clough could look back with a sense of satisfaction, and not a little amazement: ‘It was called a mad escapade at the beginning,’ he said. ‘But its economic success has staggered me.’ And as the 21st century dawned, Portmeirion was still attracting a quarter of a million visitors a year, having survived the Depression, the Second World War and austerity, and thrived despite the changing patterns of recreation. The first purpose-built holiday resort in Britain – still a family-run business – shows no signs of losing its unique appeal. Published to celebrate the 80th anniversary of the first opening of the resort, Portmeirion brings together for the first time all the elements that have made the name famous worldwide: from the pottery to The Prisoner, from the gardens to the genius of Clough himself. Alwyn W Turner is the author of The Biba Experience and Cult Rock Posters 1972-82. Together with his father, Gordon Turner, he has also written a series of books on the history of military bands. Jan Morris is the author of over thirty books of travel writing, history and autobiography, including the Pax Britannica trilogy, Venice, The Matter of Wales and Last Letters From Hav. 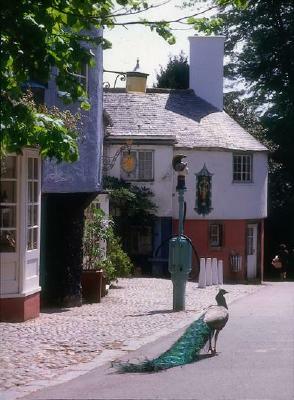 She knew Clough Williams-Ellis as a friend and neighbour for more than thirty years. Jools Holland is one of the most respected musicians and broadcasters in Britain. A founder-member of Squeeze, he went on to form the Rhythm and Blues Orchestra, and has presented TV programmes including The Tube and Later with Jools Holland. 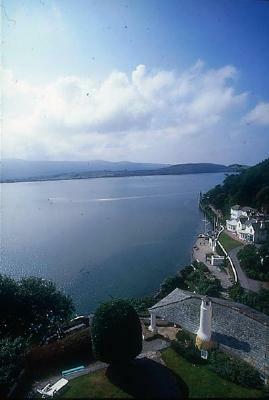 He has long been a friend of Portmeirion and an admirer of Clough’s work. Mark Eastment is a former Chairman of the Decorative Arts Society and a collector of Portmeirion Pottery. He works in publishing and lives in Oxford. Robin Llywelyn is a grandson of Clough and Amabel Williams-Ellis and has been the Managing Director of Portmeirion Ltd since 1983. As a writer, he has twice won the Prose Medal at the National Eisteddfod (Aberystwyth, 1992 and Neath, 1994) and was the winner of the Daniel Owen Prize for Literature (Newport, 2004). He is married to Sian and has three children. Stephen Lacey is a columnist for the Daily Telegraph and author of a number of books, most recently Real Gardening and the new edition of Gardens of the National Trust. For ten years, he was a presenter on BBC's Gardeners' World and he now lectures on gardens and planting design around the world. He lives and gardens in North Wales.